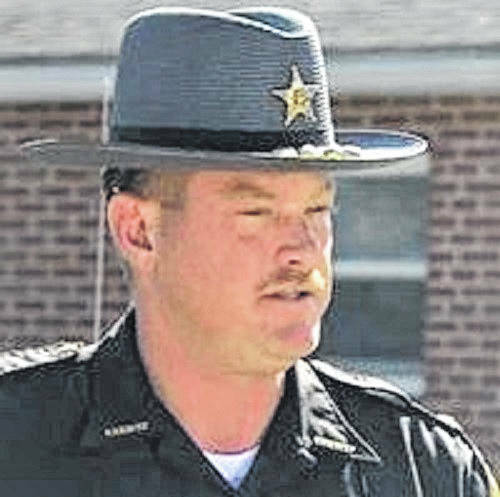 By stating he could not comment on an ongoing investigation, a public information officer for the state auditor’s office would seem to have indirectly confirmed there still is an ongoing state investigation into alleged misconduct by Pike County Sheriff Charles Reader. The Portsmouth Daily Times had called the auditor’s office in hopes of obtaining an update on the investigation into Reader which was launched in December. In responding to a reporter’s question on any Reader investigation, auditor Public Information Officer Jake Gordon stated, by policy, he is not allowed to “share details” regarding ongoing investigations. As has been previously reported, Pike County Court of Common Pleas Judge Randy Deering on Dec. 13 approved the appointment of a special prosecutor from the auditor’s office to oversee an investigation into Reader’s alleged behavior. The special prosecutor was appointed at the request of Pike County Prosecutor Rob Junk. Junk did not respond to a recent request for comment. According to paperwork released to the media by the auditor’s office in mid-December, on Nov. 9, the auditor’s office received an anonymous complaint regarding alleged improper actions by Reader. The complaint goes on to describe Reader as a compulsive gambler who never has any money of his own. It charges him with borrowing several thousand dollars from investigators connected with the sheriff’s department. The complainant or complainants also allege Reader owes a local car dealer over $20,000 and further claims he has taken impounded cars off the police lot for use by his daughter. “Reader just does whatever he wants, and no one ever calls him on it,” the complaint reads in part. “We are scared to death of him. He is unstable and threatens people,” it concludes. According to the auditor’s website, the office receives hundreds of complaints annually regarding fraud in government or by public employees. Those tips can come from public employees, concerned citizens or auditors who discover something suspicious in the course of their work. Something called the Special Audit Task Force, a group of auditors and investigators led by the state auditor evaluates tips and complaints received by the auditor’s office. If the task force decides the case falls under the authority of the auditor of state’s office and may involve probable fraud or theft, the complaint is then sent to the Special Audit Section and the Special Investigations Unit for further review. Reader has steadfastly not responded to media requests for comment on any investigation into his alleged conduct.